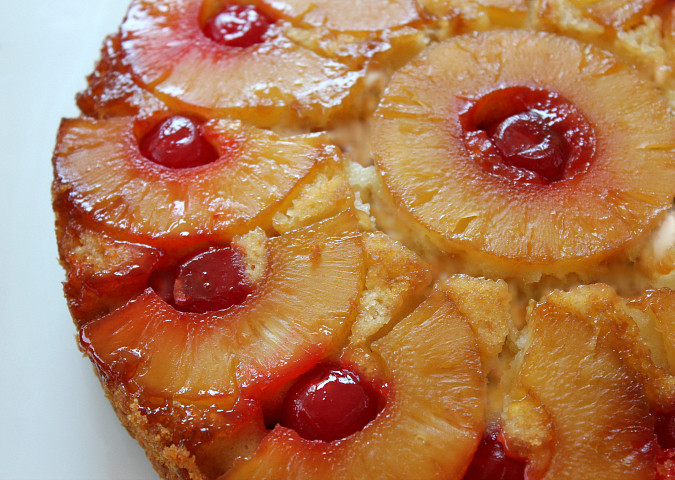 when we were preparing the menu for ryan's hawaiian-themed luau birthday party, he mentioned that pineapple upside-down cake would be the perfect dessert to fit the theme. 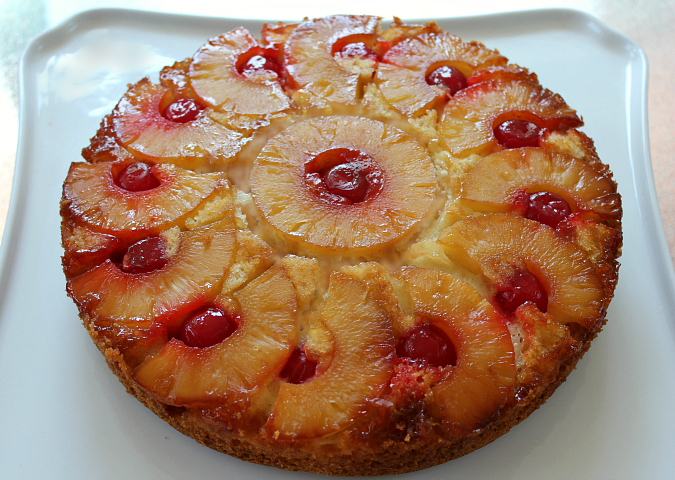 it was then that i realized that although i've eaten pineapple upside-down cake many times, i've never actually made it myself. my mom shared her recipe with us and we made the cake the morning of his party. this recipe is so fast and easy to make. the result is a great fluffy cake that is both pretty and full of flavor. it's such a great old-fashioned dessert that is a classic. preheat your oven to 350 degrees F. in the bowl of an electric stand mixer fitted with a paddle attachment, cream together 4 tablespoons of the butter and the granulated white sugar. add the egg and beat well. in a separate bowl, sift together the flour and baking powder. add part of the dry ingredients to the mixture, alternating with the pineapple juice, beginning and ending with the dry ingredients. melt the remaining 2 tablespoons of butter and evenly spread the butter around the bottom and up the sides of a 9-inch round cake pan. sprinkle the brown sugar over the butter on the bottom of the pan. place one whole pineapple slice in the center of the pan. cut the remaining slices in half and arrange the slices vertically around the pan. place a maraschino cherry inside the center cutout of each slice. 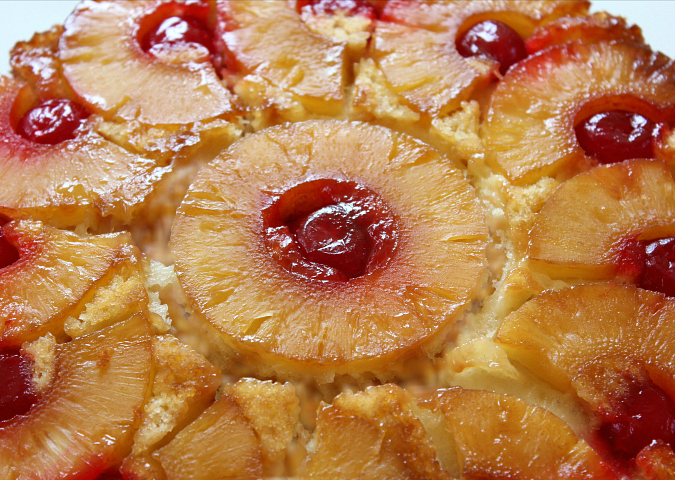 evenly spread the batter over the pineapple slices and the cherries. bake for 50 minutes, until a toothpick inserted into the cake comes out clean. once baked, allow the cake to cool in the pan for 20 minutes before inverting it on a cake stand. Delicious! and looks good too. That was a fitting dessert for the Luau.